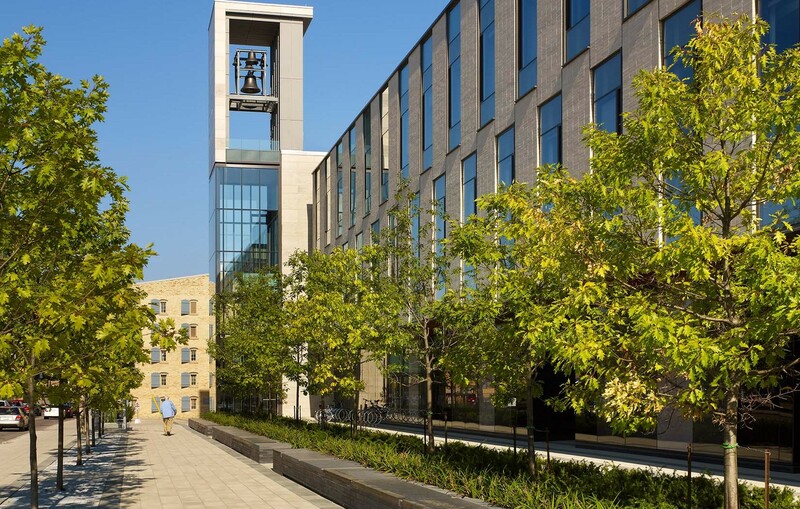 The Balsillie School of International Affairs (BSIA), situated within the Centre for International Governance Innovation (CIGI) Campus, is KPMB’s contemporary interpretation of the traditional acedemic quad composition. 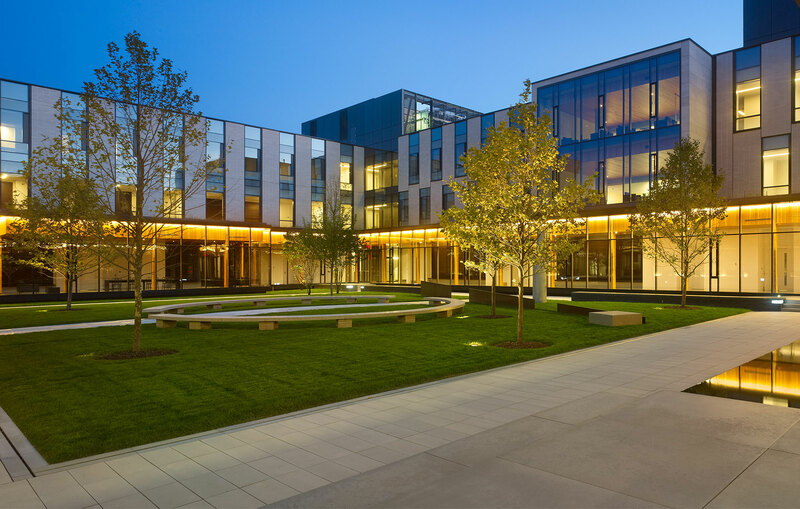 For PFS Studio the opportunity to provide both an inviting peripheral landscape along the fronting public streets, and a more intimate and bracketed courtyard, was met with an enthusiastic design response. 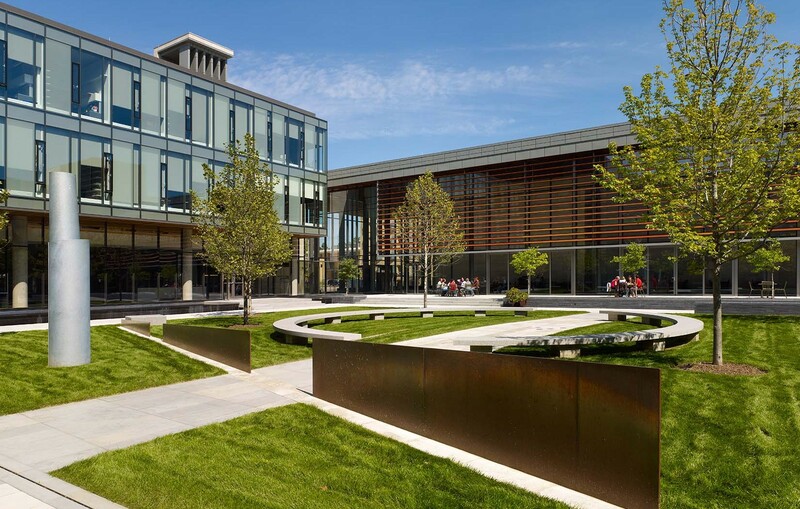 The overall design maximizes opportunities for communication and collaboration while offering ample private space for individual study, in both interior and exterior settings. A focal landscaped courtyard is enclosed by a glazed cloister and a 36 metre long water feature. 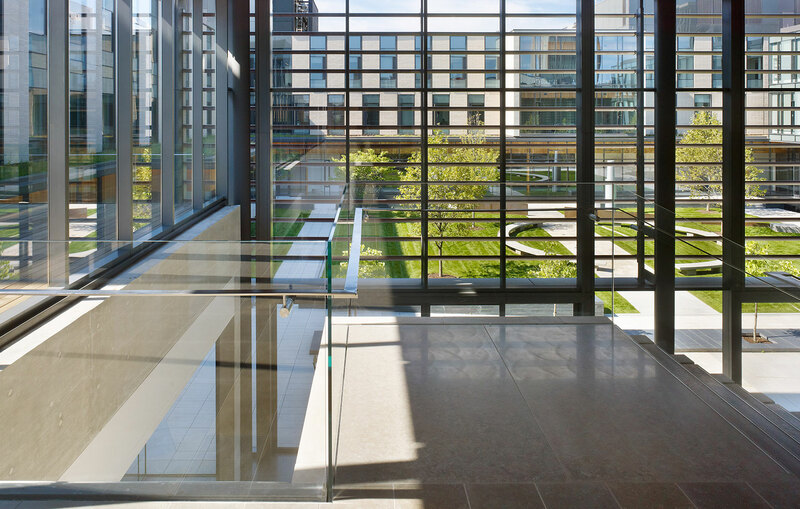 All levels facing the courtyard are fully glazed, reinforcing the idea of a connected campus environment and a ‘vibrant sanctuary’ in which to generate innovative ideas and solutions. 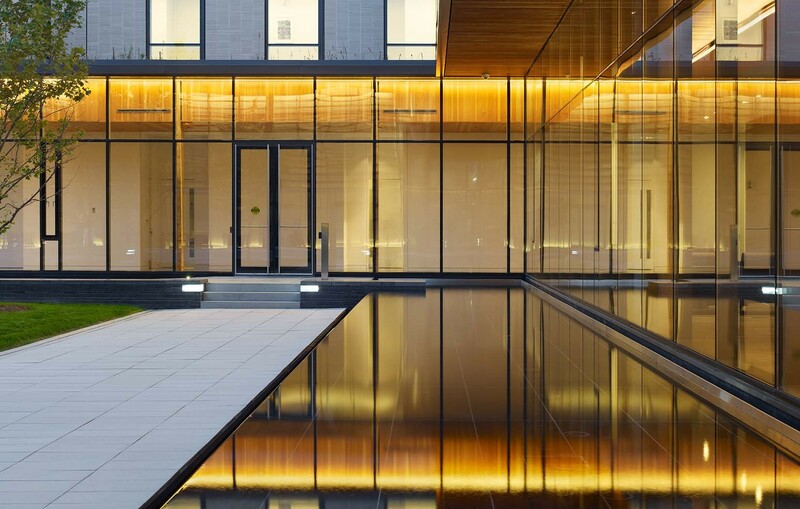 All exterior spaces of the project are connected with surrounding streetscapes through a unifying ground plane of handsomely patterned paving, custom matched to the stone palette of the building.